LEGO Dimensions (game, 2015). 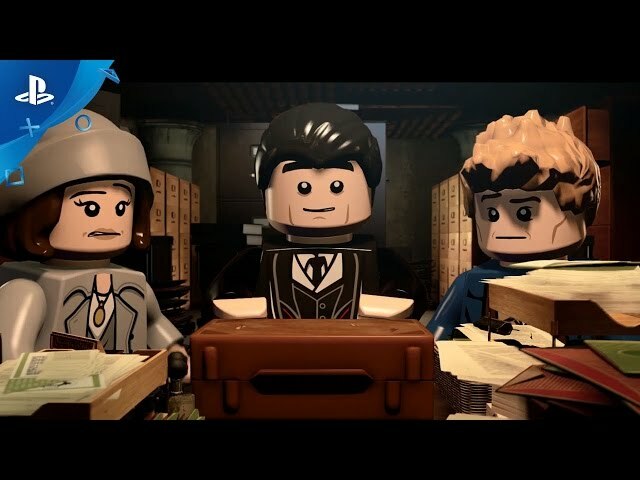 A Lego-themed action-adventure video game by Warner Bros. Interactive Entertainment. Developed by Traveller's Tales, TT Games. Official Trailer. LEGO Dimensions is a Lego-themed action-adventure video game by Warner Bros. Interactive Entertainment, developed by Traveller's Tales and TT Games. 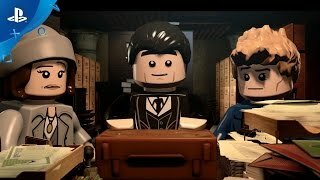 LEGO Dimensions - Story Pack Gameplay Trailer. Arriving on the planet Foundation Prime in the center of the Lego Multiverse, Lord Vortech (Gary Oldman) and his robot minion X-PO (Joel McHale) seek the twelve Foundation Elements, the cornerstones of time and space itself, in a bid to merge all the universes into one under his control. These elements, such as the ruby slippers, the One Ring, and kryptonite, were scattered across the dimensions long ago, but gathered together at Foundation Prime's palace can unlock the power to control the multiverse. When X-PO voices his doubts of Vortech's evil plan (as it is too dangerous to harness the Elements safely), he decides that he no longer needs X-PO and banishes him to the planet Vorton. Unfortunately, Vortech's own body cannot handle too many more dimension jumps, forcing him to open vortexes to different worlds and recruit local villains to help him search for the Elements while imprisoning heroes pulled through the vortexes. These actions damage the boundaries between worlds, causing them to merge and characters to be displaced. When Robin (Scott Menville), Frodo (Elijah Wood), and MetalBeard (Nick Offerman) are pulled into the vortexes, each unknowingly in possession of one of the Elements, Batman (Troy Baker), Gandalf (Tom Kane), and Wyldstyle (Elizabeth Banks) all jump in after them. The three get pulled into the same vortex and appear on Vorton, where the vortex generator they came out of explodes, prompting them to rebuild it. Aided by X-PO, the three use the generator to travel through the multiverse and search for the Foundation Elements and the five missing Keystones that power the generator, hoping to find their missing friends and stop Vortech's plan from succeeding. Along their journey, they meet and assist the various heroes of the dimensions they visit, such as Dorothy Gale (Laura Bailey), Homer Simpson (Dan Castellaneta), and Dr. Emmett Brown (Christopher Lloyd) while fighting numerous villains, including Vortech himself in 1885 Hill Valley and a haunted circus. However, Vortech eventually realizes that X-PO is helping them. The heroes travel to Foundation Prime to find their friends and fight Vortech, but it turns out to be a diversion, allowing the villains to ambush X-PO and retrieve the trio's Foundation Elements in their absence. With all twelve elements collected, Vortech unlocks the foundation of the multiverse, a green Lego building plate, and is imbued with near-unlimited power. He merges Frodo, MetalBeard, Robin and a piece of himself into a giant robot mutant known as the Tri, and sends it to wreak havoc on the trio's worlds. Fearing that a failure could lead to a transformation into a similar mutant, the villains bail out on Vortech. Lego Dimensions features the same style of gameplay as the previous Lego video games developed by Traveller's Tales, in which up to two players control Lego minifigures based on various represented franchises. Players progress through linear levels, using their characters' abilities to solve puzzles, defeat enemies, and attempt to reach the level's end. Characters are entered into the game by placing their respective minifigures onto a USB toy pad, with each character possessing unique abilities that can be used to solve puzzles or reach hidden areas. Using a character from a certain franchise will also unlock that franchise's Adventure World, an open-world area for players to explore and complete in-game objectives. The Starter Pack includes the toy pad and the game's 14-level main story campaign, which revolves around Batman, Gandalf, and Wyldstyle, while additional levels are made available by purchasing Level Packs and Story Packs. In addition to the minifigures, players can also build models of vehicles, such as the Batmobile, TARDIS, Mystery Machine, or DeLorean, and put them into the game for characters to drive. Completing objectives in the levels and adventure worlds will reward players with gold bricks, which can be used to upgrade vehicles and give them new abilities. Each adventure world also contains a red brick for players to retrieve; these will unlock special bonuses, such as visual modifiers for characters or extra assistance at finding collectible items. Unlike series such as Skylanders, Disney Infinity, and Amiibo, the minifigures, vehicles, and the USB toy pad are all made from real Lego pieces and can be freely built and customized. All minifigures and vehicles can be used in any available level, though specific figures must be present to initially enter those levels or worlds. An additional feature called "Hire a Hero" was added shortly after the game's launch; this feature allows players to pay in-game currency to temporarily summon characters they do not own in order to complete an otherwise-inaccessible puzzle. The game's second year of content also introduced competitive multiplayer in the form of the Battle Arenas, allowing up to four players to compete in modes such as Capture the Flag. Gold bricks can be used to purchase new power-ups for the Battle Arenas. Certain packs also include exclusive features; for example, the Midway Arcade level pack unlocks playable emulations of over 20 Midway arcade titles, while the Teen Titans Go! 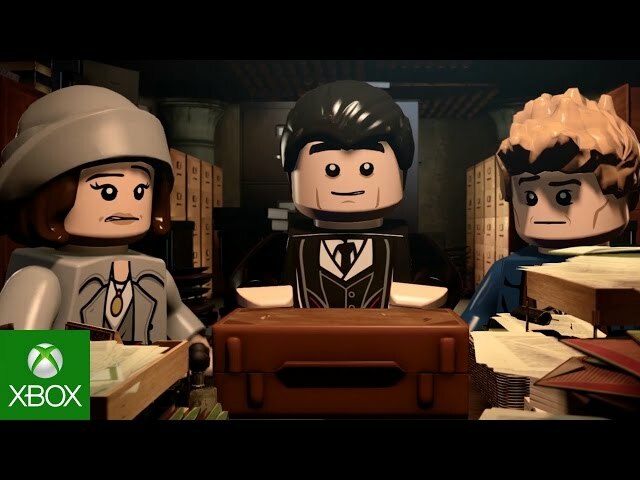 packs unlock an exclusive Lego-themed episode of the series that can be viewed in-game. LEGO Dimensions was scheduled to be released by Warner Bros. Interactive Entertainment on September 27, 2015, on September 28, 2015, on September 29, 2015 and on September 27, 2016. This video game is available for the following platforms: PlayStation 3, PlayStation 4, Wii U, Xbox 360 and Xbox One.